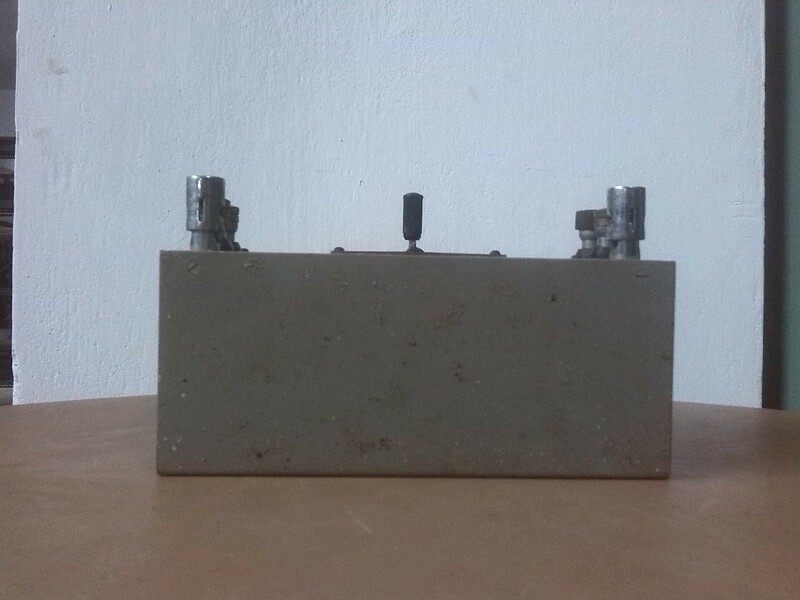 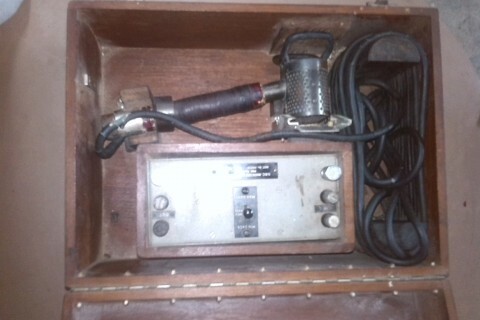 Name of the Artifact: B.B.C Microphone equalizer unit. Artifact Title: Lip microphone or commentator’s lip microphone. 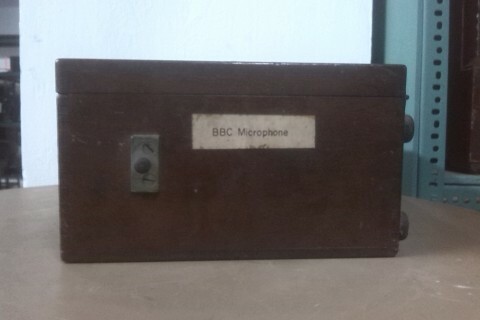 The whole microphone is kept in the wooden box. 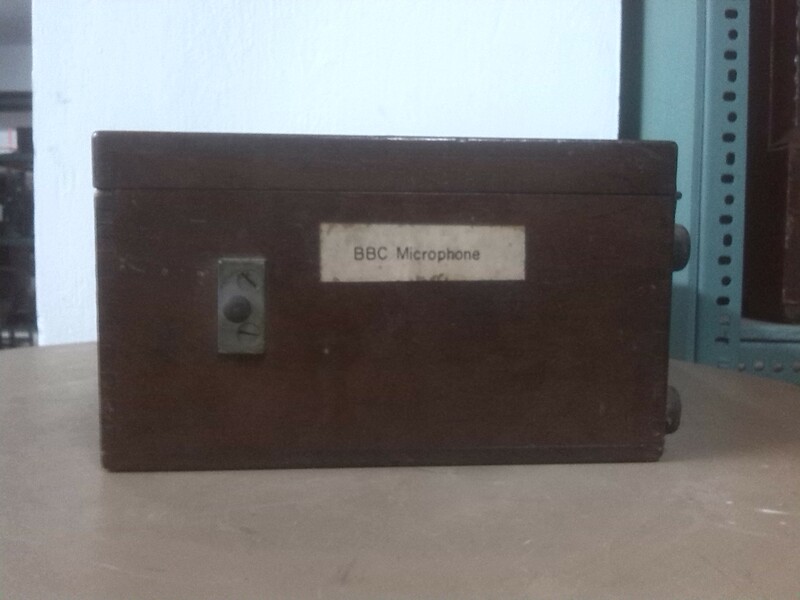 The microphone was specially design by B.B.C to cancel out unwanted background noise during outside broadcasts. 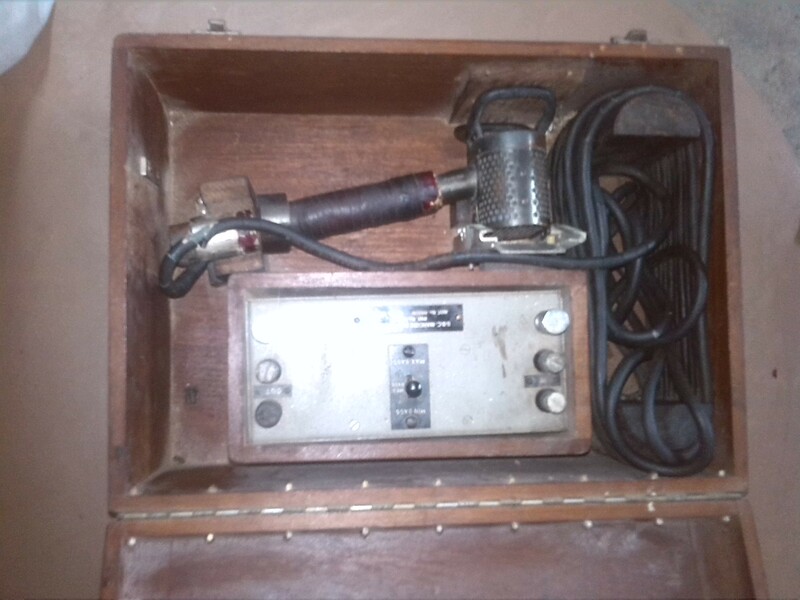 Since it was necessary to speak very closely into the microphone, for this reason these microphones became known as lip microphones. 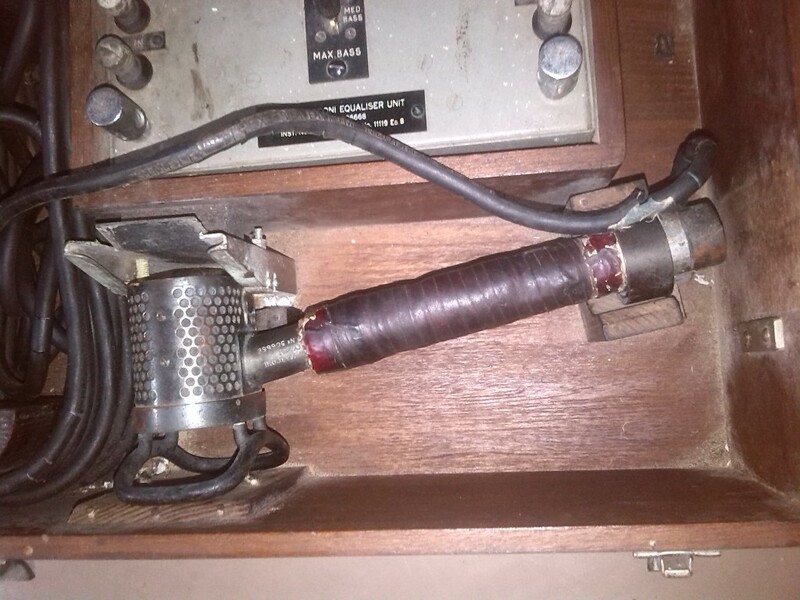 Marconi manufactured L.1 microphone for B.B.C in 1937 and in 1951 an improved lip microphone, type L.2 was designed which was the first production model were used in the Coronation broadcast of 1953. 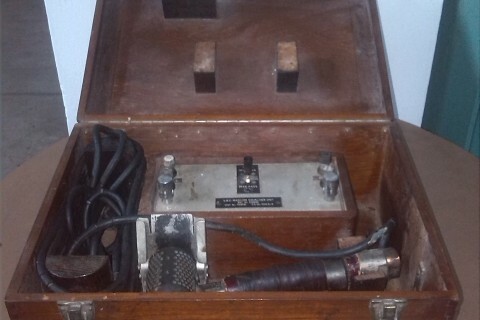 The type L.1 microphone was not the first noise cancellation microphone. 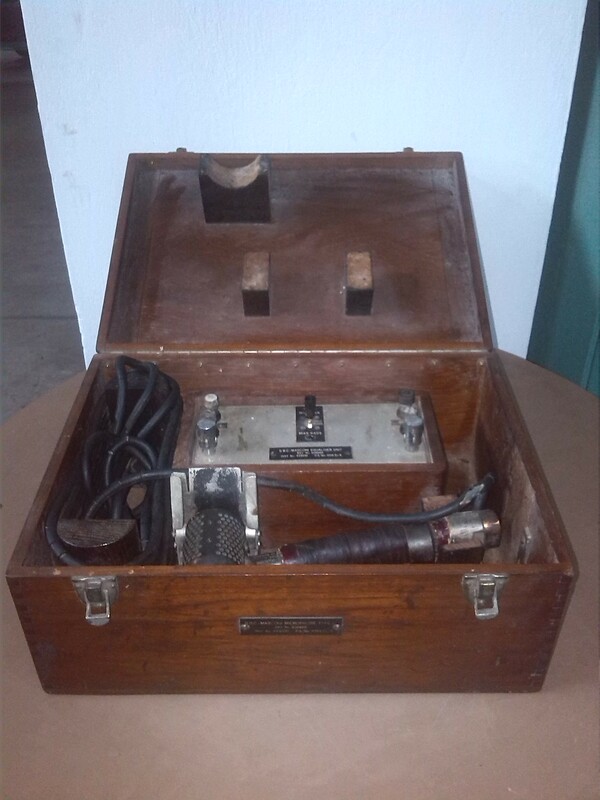 It is believed, however to be first microphone of this kind to give transmitted speech of broadcast quality.